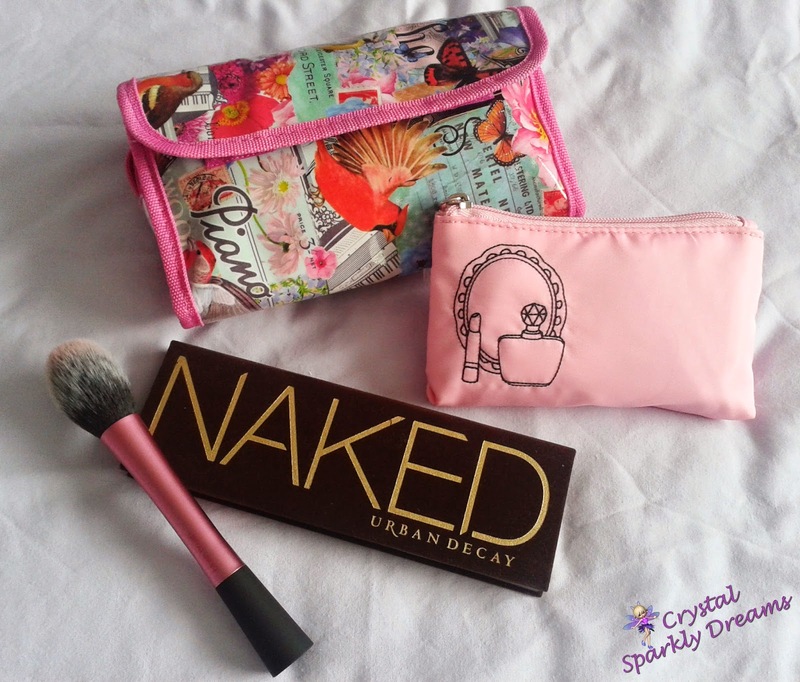 Crystal Sparkly Dreams: What's in My Makeup Bag! I've also been keeping very busy working on my jewelley collection for my Etsy shop, which I'm hoping to get up and running in the next couple of months and coming up with lots of ideas for future blog posts! I love trying out new things - new eyeshadows, lipsticks or brushes, so most of the time, I don't usually stick to a particular set of products. 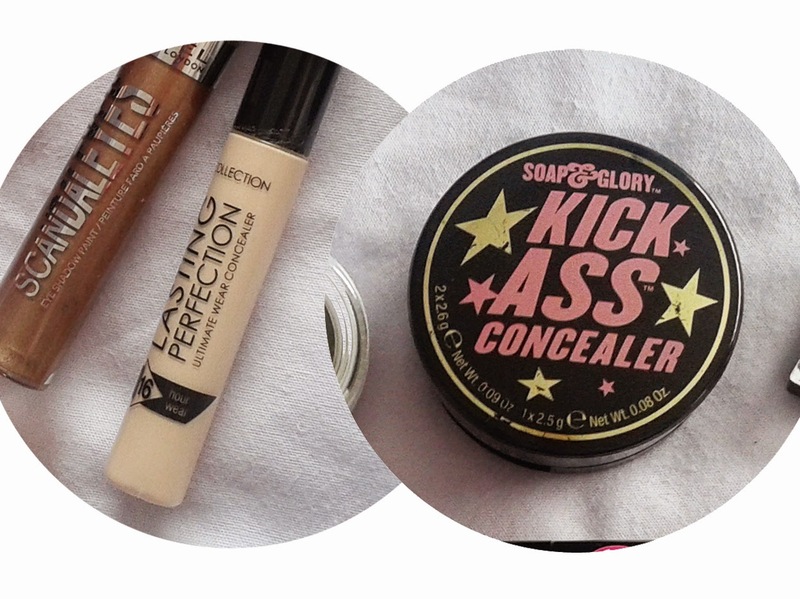 However, lately I've found myself using these items more and more! I got this (believe it or not) from WHSmiths! 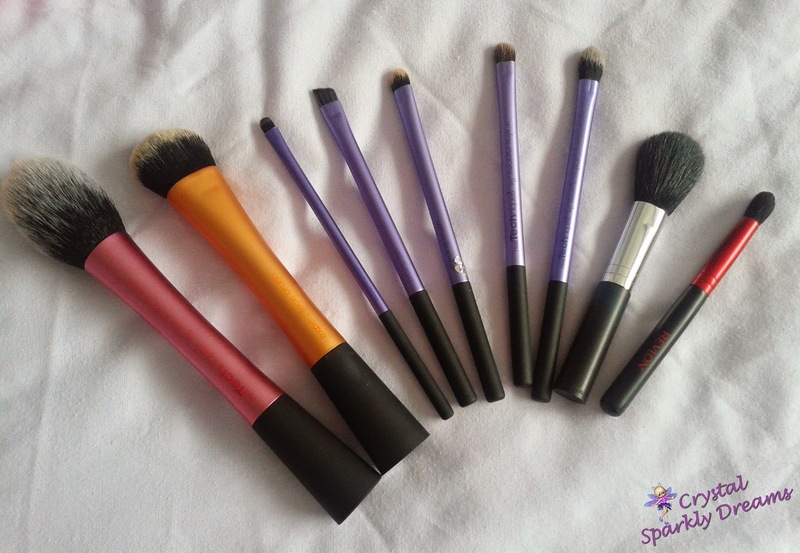 I wanted something that I could not only fit my 'everyday' makeup in but also my brushes and if possible, be able to keep the two things separate as well. 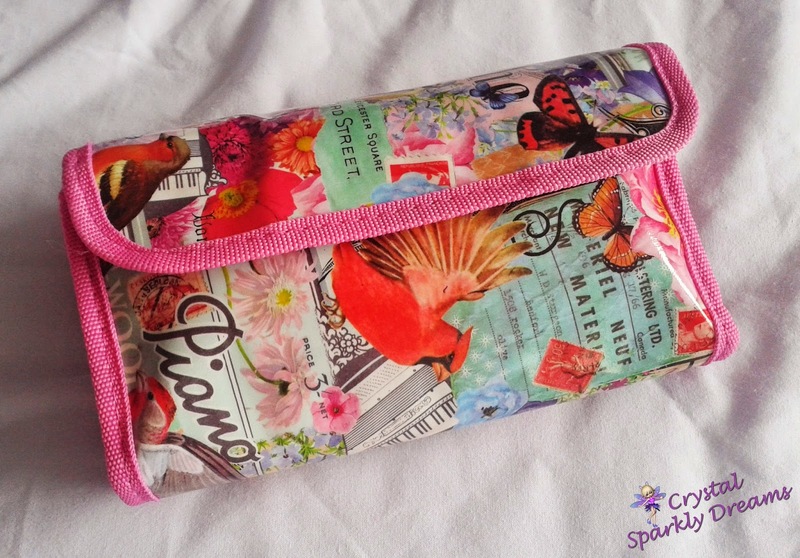 I looked at loads and I mean loads of different makeup and cosmetic bags in various shops but nothing seemed right or big enough for the brushes, then I thought what about a large pencil case. So I went to WHSmiths and low and behold, in the sale as well if you please, I found this little gem reduced to £6.99. 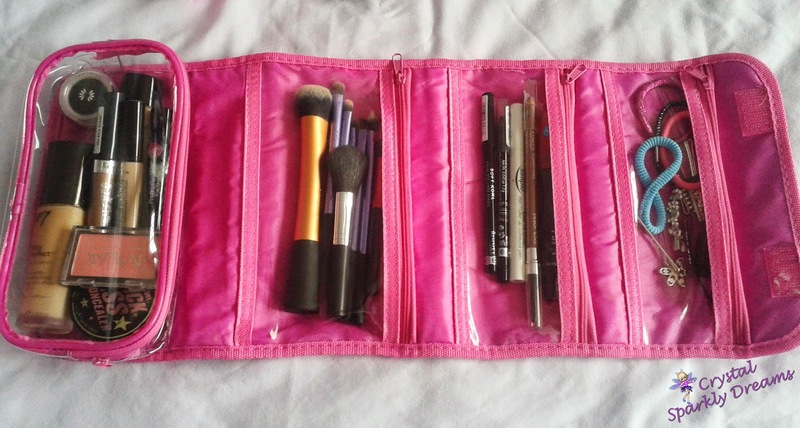 It has one large compartment which as you can see I use for my main makeup and 3 other sections that are ideal for my brushes and even eyeliners! 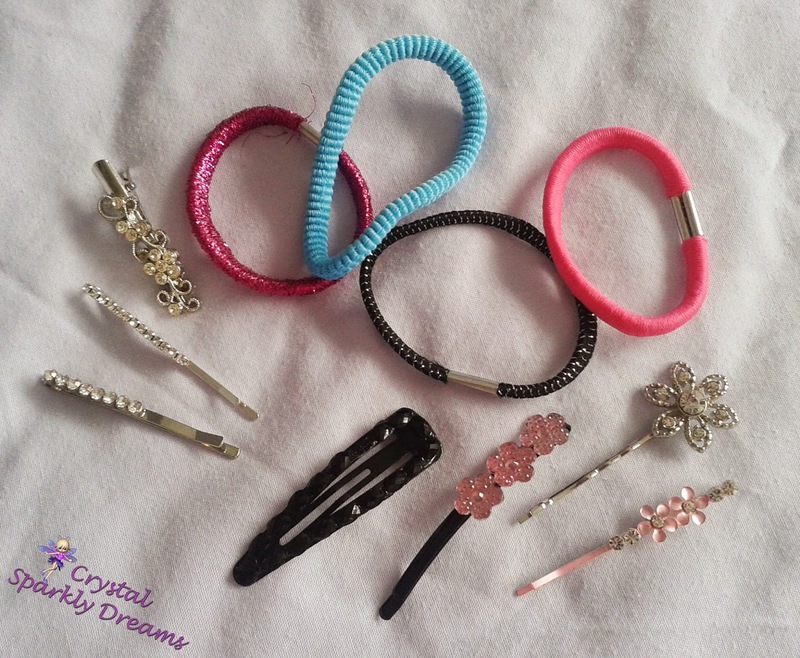 I don't keep much in the last section apart from these hair bands and hair clips, but it's there if I need a little extra space! 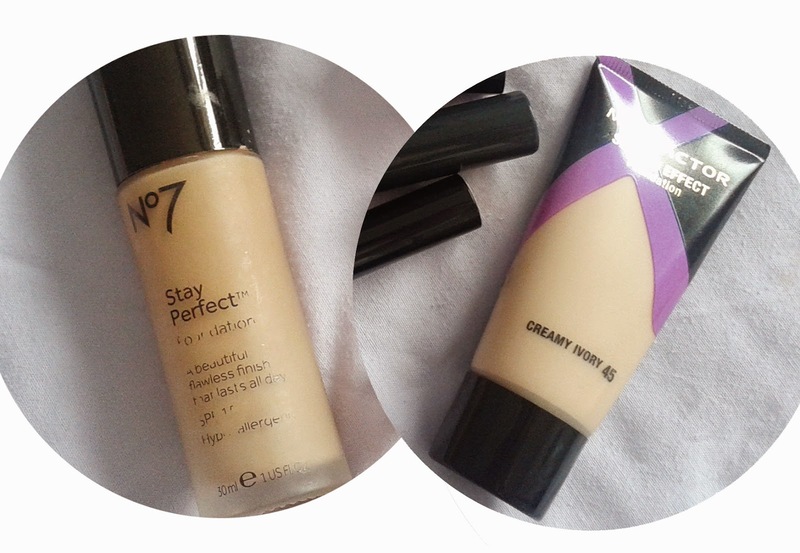 the No.7 Stay Perfect Foundation, which I do really like, it stays on great but is a tiny bit too dark for me. 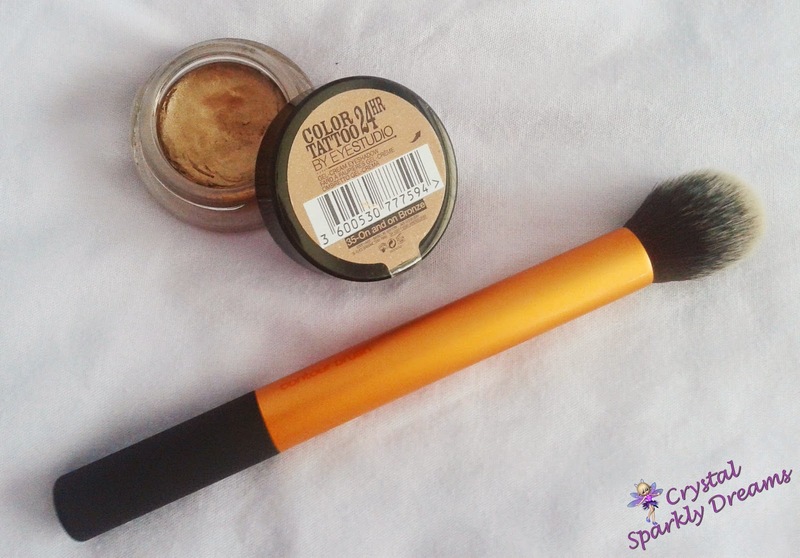 The other is the Max Factor Smooth Effects Foundation. in Cream Ivory (which I don't think is available now, I've had it quite a while), again it's a great one and a better colour for me but it's quite sheer and doesn't do much in the way of covering up redness or even lasting that long, so I always have to make sure I use a primer underneath to really stretch out it's wear-ability! 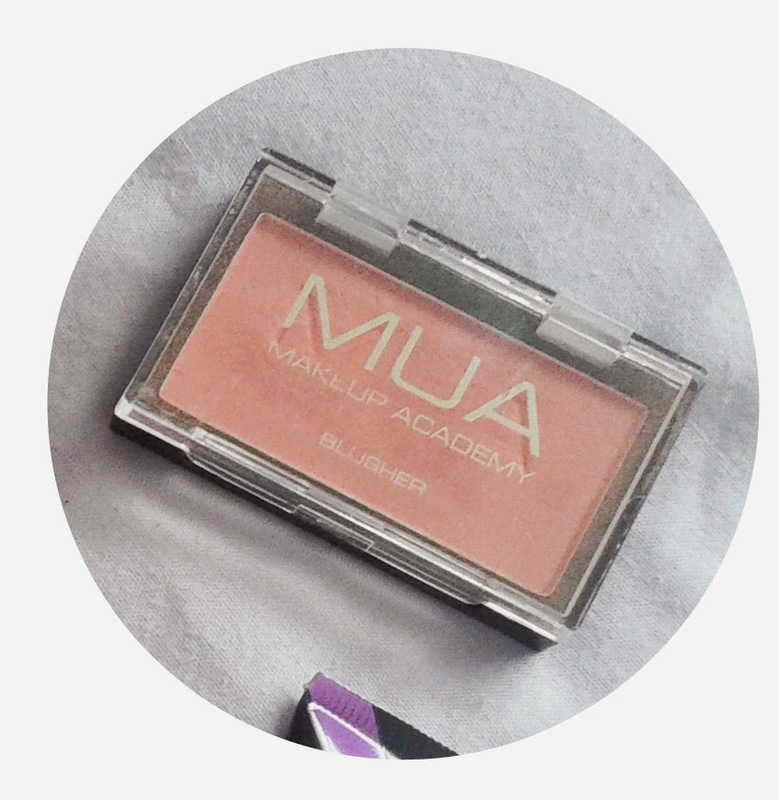 I couldn't be without my lovely soft pink MUA Shade 1 blusher, it gives such a delicate glow to the skin and at just £1, you can't really ask for more can you! 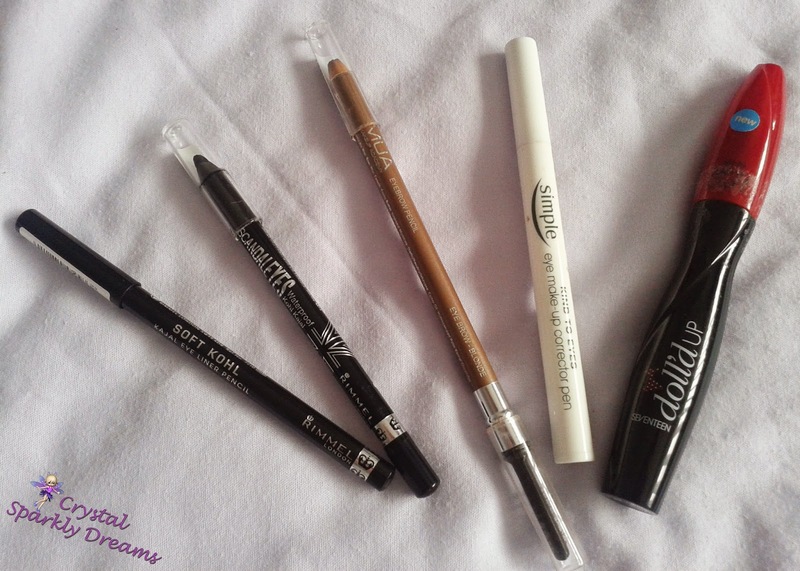 Now I do like my eyeliners (which I'll talk about in a minute) and I do use them, especially when I have a little more time to get them right but my absolute full-proof way has to be with black eyeshadow and an angled brush, you can not fault it! 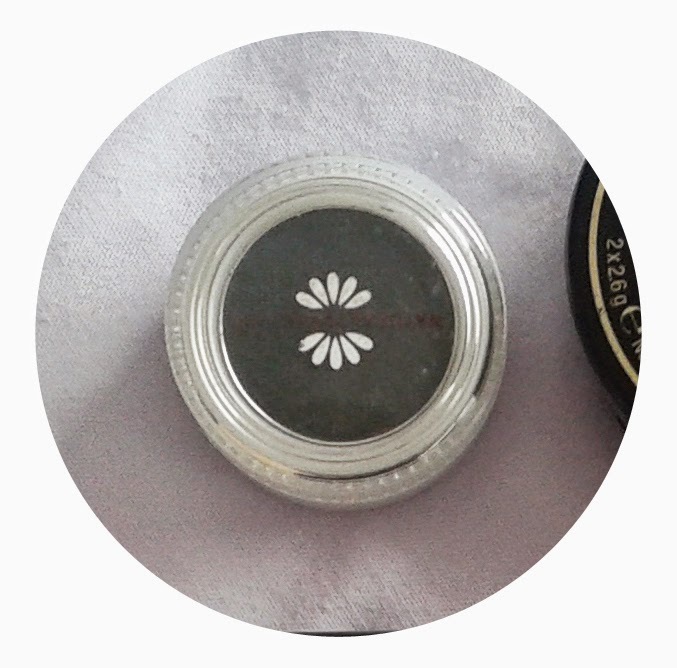 For my whole eye look, I usually go for a mixture of the Rimmel Scandaleyes Shadow Paint in Rich Russet, blended out on the crease, then a slightly thicker layer of it along the eyelid. It dries pretty quick, so while it's still a little tacky, I use my angled brush with black eyeshadow just along the lashline., that way I find it last all day. 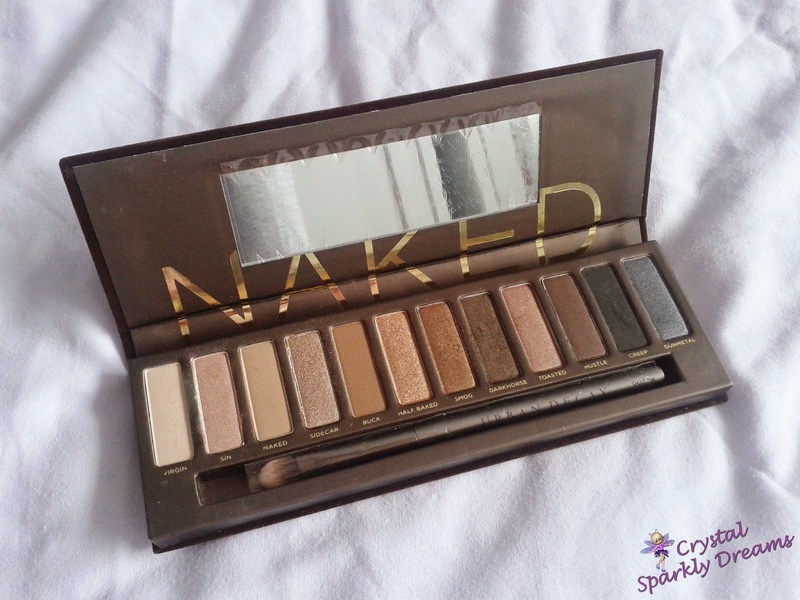 As an alternative, I use my amazing MUA Eyeshadow Primer (which apparently is an older one now), then a random selection of shades (what ever I feel like at the time) from the gorgeous Urban Decay Naked Palette. 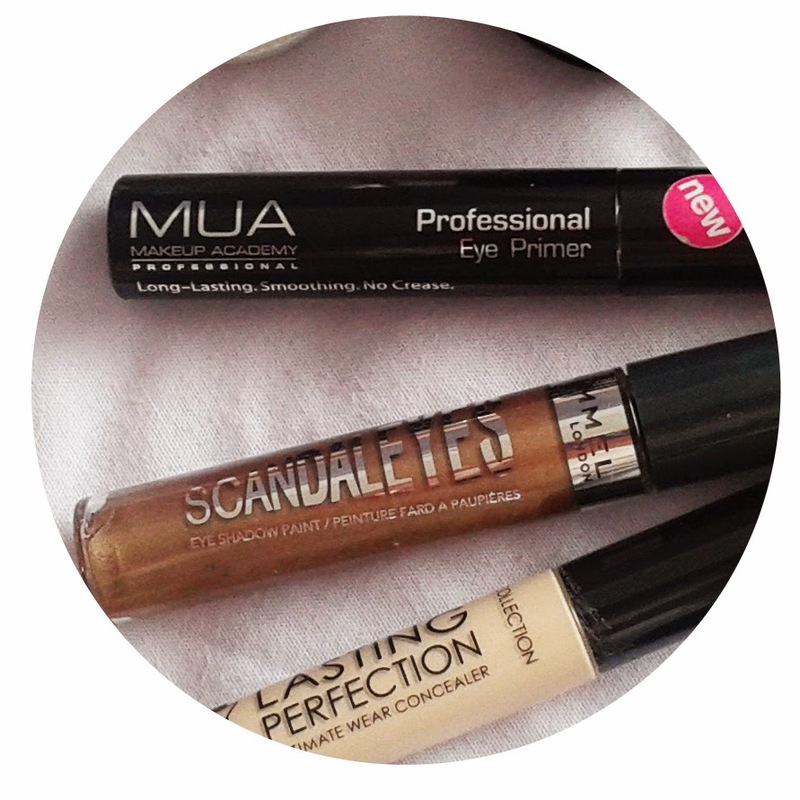 My favorite Rimmel eyeliners, MUA eyebrow pencil (which really needs sharpening), the amazing Simple corrector pen (life saver) and the best mascara ever, the Seventeen Doll'd Up Mascara. 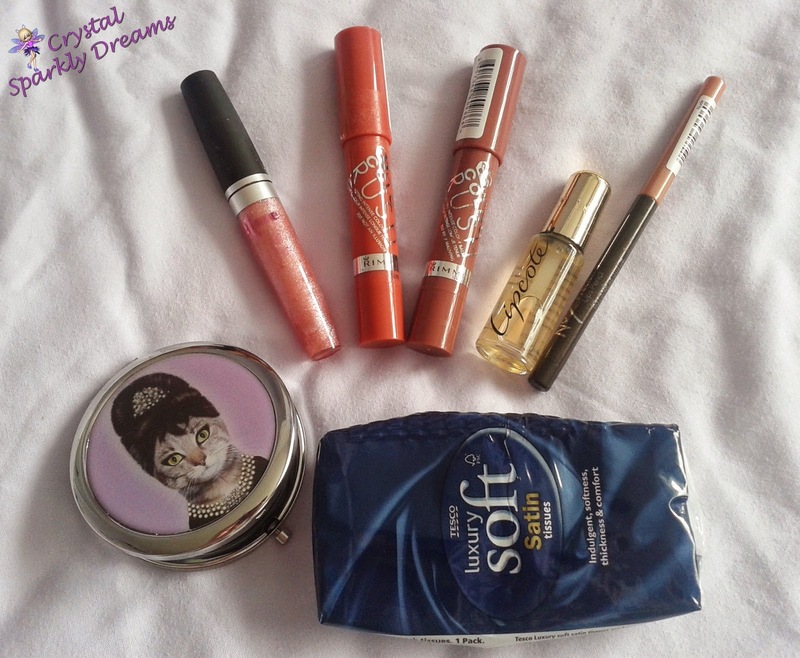 Finally, I just cannot fit my lipstick/gloss etc in this bag as well as everything else and since I generally do the majority of my makeup when I'm getting ready at home, I like to have just the bare essentials with me in my handbag. 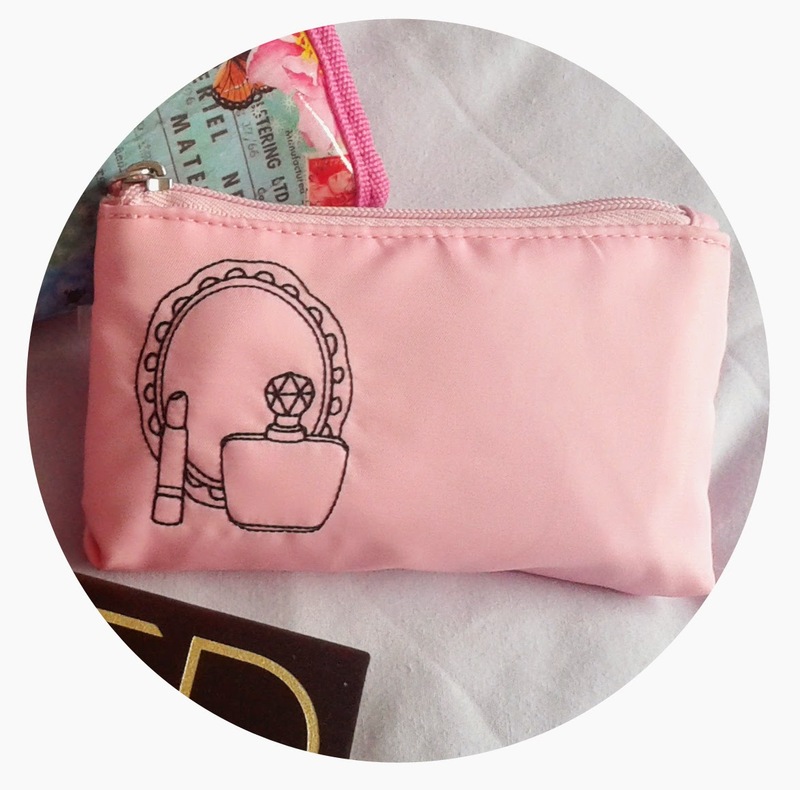 So, I use this cute little pink bag that came in a set from TJHughes, many years ago. 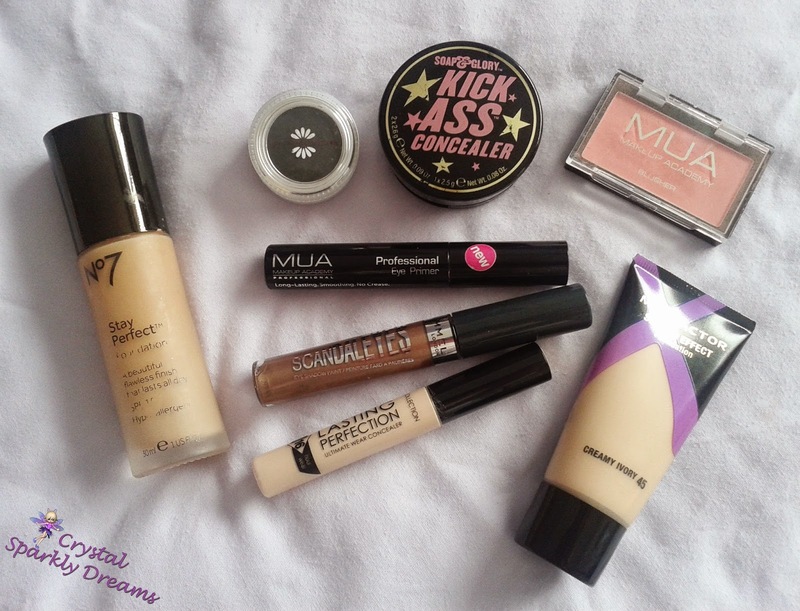 Since I took the photos for this post, I've also added in two other items to my makeup bag and have been using them a lot! So there we have it, that is my makeup bag and all it's contents. I hope you like it and please leave me any comments below, have you used any of these products, do you like them, can you think of any interesting posts that you'd like to see me do etc!